When: April 12, 11 a.m. – 2 p.m.
What: The fifth annual Brain Bowl benefits the Louis & Anne Green Memory and Wellness Center, Alzheimer’s Association, Alzheimer’s Community Care and Parkinson’s Foundation. This will be the first event in South Florida where all four organizations will unite to raise money and awareness to help combat Alzheimer’s in our community. What: The Delray Affair is the largest arts and crafts festival in the southeast United States and has received numerous awards for its eclectic mix of fine art, fabulous crafts, and unique products from artists and artisans around the world. What: A celebration of some of country music’s greatest hits, this festival is one of the biggest beach parties in South Florida. Hosted in collaboration with nonprofit Rock the Ocean, the lineup includes Thomas Rhett, Maren Morris, Kane Brown, Joan Jett and the Blackhearts, Elle King and Sheryl Crow. What: Boca Ballet Theatre brings to life the classic Shakespeare love story through dance and music by Prokofiev. 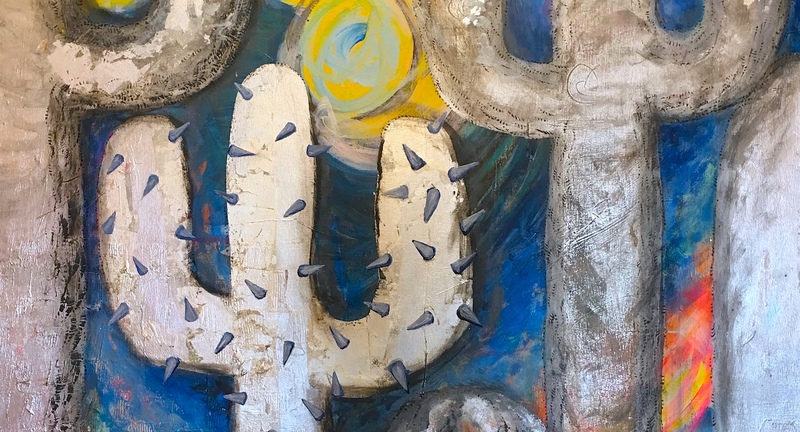 What: Two new exhibitions featuring artwork by Krista Steinke and Catalina Villegas join the Pompano Beach Cultural Center. Enjoy a free reception on April 12th, where you can view the artwork and meet the artists themselves. What: The museum presents a Bus Tour that takes guests through the growth and development of Delray Beach. Enjoy interactive stories detailing how the city came to be. What: Miami City Ballet presents a reimagined rendition of Shakespeare’s fantasy love story in a ballet by George Balanchine. The classic ballet features a unique oceanic aspect specific to its Florida audience, created by Michele Oka Doner and Tarell Alvin McCraney. What: The first business of the Pompano Pier Redevelopment project, Beach House Pompano has had a successful first year serving delicious food and tasty drinks to locals and travelers alike. Join the celebration of Beach House’s one year anniversary with a 50s-themed Beach Party including live entertainment, giveaways, a glow in the dark beach ball installation, and drink specials. When: April 14, 5:30 p.m.
What: The “Casino Saloon” themed event features entertainment by Steve Chase Band, Dawn Marie and Alexandra Lewis. Also enjoy dinner and a live auction in support of Tri-County Animal Rescue. When: April 14, 10 a.m. – 4 p.m.
What: The car show promises a fun afternoon perusing all types of cars and enjoying music and great food. When: April 14, 6 p.m. – 9 p.m.
What: Enjoy a mix of Soul, R&B, Neo Soul & Blues and Jazz & Funk at this community event featuring food and drink from local vendors. What: The Spring Garden Festival and 40th Annual Spring Plant Sale feature live music, shops with artisan products and homemade goods, cooking demonstrations, beer in the garden, and local food trucks.